PureVPN believes that achieving online security should not be a hefty task, be it on Smartphones, tablets, PCs and Chromebooks. Chromebook users are inclined towards solutions that suit their device. To suffice this need of Chromebook users, PureVPN has gone beyond just achieving satisfaction but has also focused on providing a delightful experience along the way. In this blog, we will discuss the many benefits that a VPN Service offers and also how to setup a VPN on Chromebook. With PureVPN, you are allowed to take advantage of the benefits of Chromebook freely. Chromebook offers internet-based features that the users sometimes refrain from using because of security concerns. Also, connecting your Chromebook with Wi-Fi will allow you to use some popular Chromebook features but you’ll give a second thought to it as your personal information will be exposed. 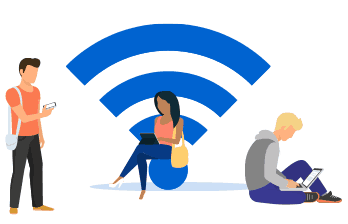 However, with PureVPN, you can connect your Chromebook with any Wi-Fi freely without any concern as your internet connection will be encrypted. So your ISP provider will have no access to your internet traffic as you will be connected to PureVPN’s servers. For all the Chromebook users, PureVPN has designed the most efficient solution that offers high speed and complete security. Your data is valuable and we acknowledge it, for which we have invested in engineering solutions that enable you to enjoy your Chromebook experience to the maximum. Our VPN for Chromebook serves as a shield for you so you can send your email, messages, photos, videos etc. freely without worrying about security. PureVPN’s shield will block all the unauthorized access to your network. With PureVPN connected on your Chromebook, you can enjoy high speed with complete end-to-end security. Users seek less congestion to get high internet speed and that’s only possible with PureVPN connected on your Chromebook. 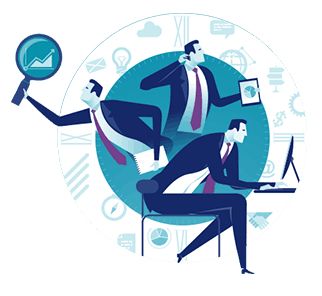 We run a global network and our aim is to let your internet connection work flawlessly and set you free from the congestion of your ISP provider. Once we set you free, we assure that you will receive significantly faster speed. With faster speed, you can carry out all your digital activities quickly and without any security concerns. 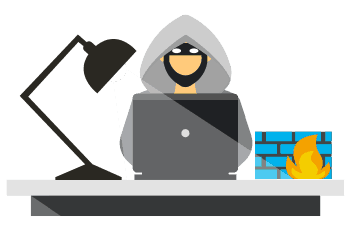 Our VPN for Chromebook is not just a software, but a security guardian that builds a security web around your data and prevents sniffers from invading it. We offer a wide range of security protocols that are engineered or developed specifically to enhance the security of your device and to prevent your data from data sniffers and hackers. The 256-bit encryption feature protects your data from the preying eyes, allowing you to have complete internet freedom. PureVPN also has designated apps that are compatible with all major Operating Systems like Windows, Mac, iOS and Android. PureVPN is offering optimized solutions with its apps, allowing users to enjoy a blazing-fast VPN connection on their devices. To excite you further, PureVPN is compatible with more than 20 devices. PureVPN has a global network that allows you to connect to your favorite content no matter wherever you are. 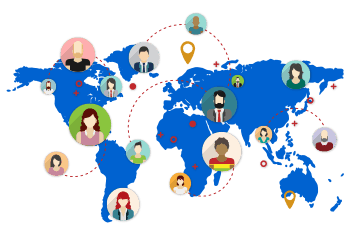 A network with more than 500 servers in 141 countries sufficiently highlights the global connectivity PureVPN provides. PureVPN supports multiple, unique protocols like OpenVPN, L2TP/IPSec, PPTP, SSTP, and IKEv2 for different devices. All these latest protocols not only improve your connectivity but also provide you unprecedented security. Currently, PureVPN doesn’t offer any Chromebook VPN client for download. However, we do offer a quick setup guide that can teach you how to connect to a VPN on Chromebook. Go on to the settings in the status bar at the bottom right. Add connection from the internet connection section and add private network. In Service name box, enter your desired VPN connection name like PureVPN US, etc. There you go! You are now good to go to use all the exciting internet-based features of Chromebook. PureVPN is here to serve every concern of its users, so feel free to share your feedback. Till then, enjoy PureVPN on your Chromebook and experience complete security at blazing-fast speed.